The year was 1912. The location was a small, bustling community nestled in the beautiful Ozarks of Missouri. The time had finally come to make it official. After first being settled in 1882, the city of Branson was officially incorporated on April 12, 2012. Named after Reuben S. Branson, who helped establish the industry of the town by opening a general store and establishing the post office, the town had already become an appealing destination for tourists. 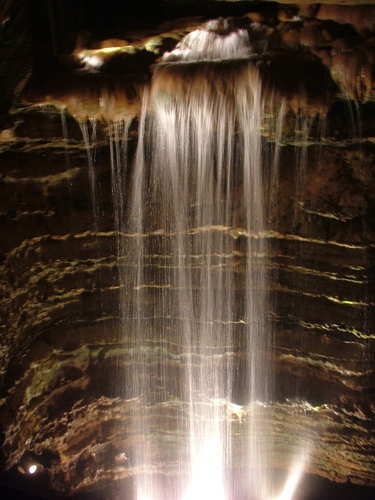 Many came to the area to experience Marvel Cave, which was highly praised in Scientific American as a natural wonder, after it opened to the public in 1884. Years later, they would also come to the area to visit the location of the book Shepherd of the Hills, which was published in 1907. With all the incoming traffic, new residents and added businesses, there was nothing left to do but to officially incorporate a town. And now, 100 years later, Branson is getting ready to celebrate. On July 7, the city’s 100th birthday bash will take place. While details have yet to be released, the city has publicized a party the size of a “fest,” that will include a street dance. Right on the heels of July 4th, the celebration will be the perfect addition to all those who have come to town to celebrate our nation’s independence. At Stay in Branson, we are proud of our community and all that it has to offer. That’s why we provide beautiful vacation rental properties that allow others to experience what we know to be true: that Branson rocks! Make plans now to come and be a part of this historic celebration at one of our country’s entertainment capitals. With all there is to see and do, we know you won’t be disappointed. Book a condo with Stay in Branson and let the party begin!